Miss Print: The Hazel Hipster pattern giveaway! This pattern is so cute! I love the pattern! Hope I win. Thanks for the giveaway! This bag looks fantastic. Cool pattern! Thanks for a great give-away. I'm always looking for great (and easy) bag patterns. I would love to win this pattern. Thanks for giving us a chance. Thanks for the giveaway. It is awesome! What a cute pattern! I love it! Off to go check out her blog! PS, of course I follow, too! I'd love to win this pattern. Thanks for the opportunity. Oh, now this is a cute bag! Love it. Thanks for the chance to win! Pip has really started something - great to discover you! I love this bag, it looks fablous in the blues from the second pic! I just found your blog from Meet Me at Mike's. I've started following you too! Estoy siguiendo tu blog, y me parece que agradecer a nuestra amiga es muy bueno, ahi voy. The pattern is so cute. Thanks for entering me in your giveaway! I have started following your blog. It's a really gorgeous bag. She should be really proud of her pattern! Love the pattern! Love to win!! Thanks for offering this giveaway, Kaye! I like that bag design. Please count me in. The bag pattern is gorgeous and the fabrics it is made with are lovely. Am loving this bag! What a great giveaway! Just found your blog via Meet Me at Mike's and I just wanted to say how beautiful the pattern is! Love this pattern! 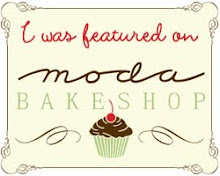 And your blog of cource... Have a nice day! Oh that bag looks fabulous!! What a great gift to make for friends in funky fabric - I hope I win!!! Cute, cute, cute!!! thanks for the giveaway!! and i became a follower, but not only becues of the giveaway, but becues i'v seen that you make alot of nice stuff! I really love that bag!!!!!!!!!! I really want that bag!!!!!!!!!! 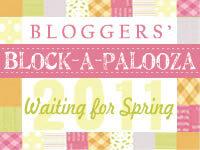 I just stumbled upon your blog this morning - I LOVE it and the giveaway! What a great find on a dreary Tuesday morning! Thanks so much for this great giveaway! 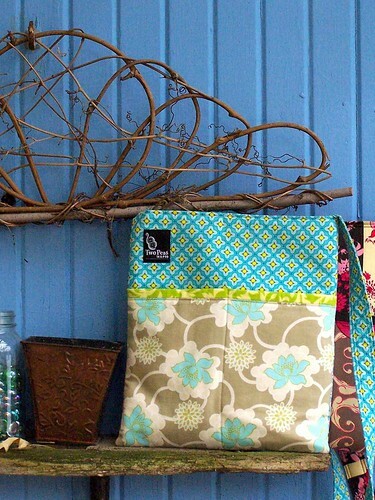 I love this bag and would love to win the pattern! I'm crossing my fingers. What a cute pattern! Thanks for the chance to enter. What a pretty bag! Hipster indeed!! My daughter's name is Hazel so I think it's fitting I put my name in for the pattern and make her a small bag if I win it :) Thanks for the chance! I'm definitely not the best seamstress in the world but I love to try out new patterns for me and my kids! Your bag pattern is very good! I love the style, I am not a leather, huge bag kind of girl. 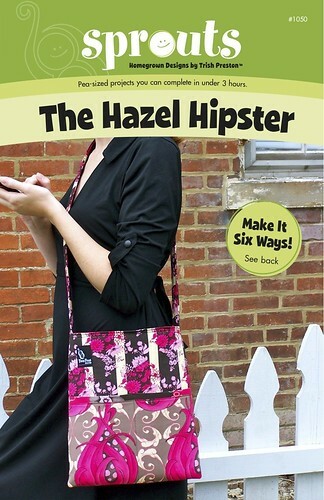 I would love to make my own hazel hipster!! I am definitely in love with this bag. I love bags and purses! golly gee willikers I hope I win. that bags is just so adorible! Very cute. I like it a lot! Cute bag, count me in. And thanks for joining in on my giveaway! Very cute pattern! Thanks for the giveaway.